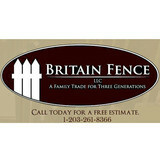 We are a third generation, custom fencing design and installation company servicing Fairfield County. We specialize in automated entry gates, pool fencing, deer fencing, pet containment, security, and privacy fences and gates. From the beginning we have stood by our motto, "honest, dependable, quality work." Our ultimate goal is to provide a great experience for our customers and sell the highest quality product possible while maintaining competitive pricing. Being the premier Fairfield County fence company, our model is simple, even though high quality and low price may seem contradictory. Remaining a relatively small company has allowed us to focus on customer service. At the same time, employing skilled, hard-working professionals affords us the productivity we need to complete jobs faster and more efficiently, enabling us to compete on price. 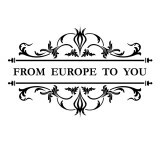 From Europe To You, Inc.
One of the largest importers of Antiques and Architectural products in the United States. We have 20.000 square feet of Antiques in two locations. We also are one of the largest sellers in the country of marble fireplace mantels and other marble items. Bill's Custom Metal Fabrications Inc.
Fabricator and installer of ornamental ironwork, driveway gates, Hand Forged railings, aluminum railings, window well grates, cable railings, restorations, steel ramps, stairs, Headers, beams, platforms, columns, portable onsite welding service. Custom Metal Fabrications was founded in 1985 due to the high demand for excellent product and service in the ironwork industry. Today, the company provides service for the same customers we first started with. We are able to maintain customer retention because of the trustworthy, honesty, and dependability we entail with each job. We provide service to a wide variety of clients such as designers, architects, homeowners, builders, contractors, and sub contractors. We also work together with our competitors to help them complete their own projects. Our valued clients include Simon Properties Roosevelt Field Mall, Oheka Castle, Lenox Hill Hospital, Phillips International, and other designers, architectural firms, and contractors. What makes us different from other companies in the industry is the ability to meet all the needs of our clients. Custom Metal Fabrications understands what the customer wants and makes the best fit project for them. Established in 1983, Artistic Fence is a locally owned and operated company that has provided customers in Passaic and surrounding areas of New Jersey with long-lasting fences and home enclosures that accentuate the beauty and artistry of the home for over thirty years. 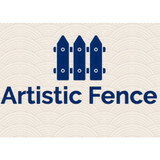 Our top priority at Artistic Fence is the satisfaction of our customers. We offer high-quality fencing that is sure to retain its beauty and integrity in face of outdoor elements. We offer our services to commercial and industrial clients, as well as residential homeowners. When you hire us to build your fence or enclosure, you can rest assured that we use only the best materials from reputable companies and that our products are always built to last. When we are building for you, our friendly installers are experienced with the subject matter. They are always willing to answer any questions you may have about the project at hand. Call us today to take advantage of our affordable fence building services! Founded by three brothers, Angelo, Giuseppe and Salvatore, Cacciola Iron Works is a family owned and operated business providing ornamental iron work. CACCIOLA have been in business for over 35 years and continue to take steps into the future of iron works. Antonino Cacciola, Anthony Cacciola, and Joseph Chavez, continue the family tradition by offering state-of-the-art techniques and unique designs for builders, architects and private residences. We pride ourselves on superior customer service, well-crafted railings and our job performance. We believe in the quality of our product and our main objective is customer satisfaction. We invite you to browse our website and see why Cacciola Iron Works is a premier iron work company. Elite property and fence offers a large spectrum of services for your home and property. Honest, professional and caring of our customers needs. We will always return your calls and promise to do what is right for you. We offer custom landscaping services in Southbury, CT area and surrounding towns. Please click on the services tab to learn more about what we can do for you. Discount Fence, located in Milford, CT, provides high quality residential and commercial fencing options at affordable prices. We install our wide selection of fencing products like wood, vinyl, chain link, stockade and more throughout Connecticut including Fairfield and New Haven counties. At Discount Fence, our sole focus is fencing – it’s all we do. Because of this, our fence installers are able to provide our customers with the knowledgeable, professional service that they deserve. Owner Mark Pucci and his team have become industry experts over the past 6 years, and have been passing on the savings to homeowners and local businesses ever since. Riverside Fence is a family-run business that has been installing beautiful, quality fences and gates for over twenty years. At the heart of our company is the desire to provide the best customer service we can by approaching each project as a unique, custom installation. A lot of installers can simply drop a fence down in your yard, but it's a rare company that has the good taste, the craftsmanship, and the experience to build a fence that actually enhances your property - and do it all at a very fair price. Riverside Fence is that company. From large estates to quaint backyards, we design, build, and install all the styles and materials of fence available in the industry. Whether it's a classic picket fence or an elaborate custom driveway gate, the expert carpenters in our 8,000 square foot workshop can accommodate all manners of projects. We source our aluminum, vinyl, wrought iron, chain link, and wire fences from the best manufacturers in the industry. We'd love to show you how a properly built and installed fence can enhance the beauty of your yard and increase the value of your property. Contact us today at (203) 479-9605 or click the "Contact Me" button to schedule a free on-site consultation with one of our project managers! USGlassFence.com is a New England based contracting company that specializes in the design, installation, and maintenance of frameless glass fencing and railings. Our products are elegant, sophisticated, understated, and practical. Frameless glass fencing can be installed in almost any situation or location. It provides complete visibility into and out of the pool area. It provides security and wind protection in an understated and minimalistic way. All swimming pools must be protected by a fence and self closing gate. Our soft closing gates close gently and securely without slamming. They just click into place. Anello Fence, LLC is one of Northern New Jersey’s few vinyl fence fabricators. Using our modern equipment, we can provide our customers with any custom designed PVC fence. In addition, Anello Fence, LLC manufactures custom designed wood fences. Since we manufacture both vinyl and wood fences, Anello Fence, LLC can provide our customers with any standard or custom designed fence to enhance the beauty of their home. Anello Fence, LLC also offers a wide array of styles of fences such as ornamental aluminum fence, as well as a complete line of residential and commercial link fencing. All of our fences can either be installed by professionals, or we can provide high quality materials for the “do-it-yourself” customer. As a member of both the American Fence Association, and the Garden State’s Chapter of the American Fence Association, Anello Fence LLC prides itself on the outstanding reputation we have built throughout our years of service. We have earned this superior reputation by providing our customers with the best VALUE possible, while satisfying fencing needs. We offer finer quality materials, superior service, and professional craftsmanship, all for the best possible PRICE! Since its founding, 25 years ago, Tri State Gate has grown from an ancillary support company into a world-class provider of automated gates, gate products and services, and related security systems. From our home facility in Westchester County, New York, we service an ever-expanding region that includes New York, New Jersey, Connecticut, and Massachusetts. And every job, no matter how large or small, gets the personal attention of Tri State Gate personnel. A. Anastasio Fence Company designs and installs the finest fences in Fairfield County. Since 1982, A. Anastasio Fence Company has designed, built, and installed thousands of fine fences in Fairfield County. Understanding that each property is unique, we work with you to choose the right fence design that best suits your home and landscape needs while remaining consistent with your community. Your Nelsonville, NY fence installation and repair professional will work with you to create your ideal fence. Fence installation or replacement. If you are in the market for a brand new fence, a contractor’s services will include walking you through various fence styles and materials, determining a suitable height, ensuring that all fence designs and plans are compliant with New York building codes, and that the fencing meets both your stylistic and security needs as the homeowner. Fences and gates must complement the grade of your property as well as the type of soil you have, so the contractor should always plan around these considerations. Additionally, if you don’t know exactly where your property lines are, he or she can commission a survey for you. 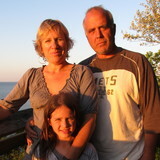 Find a fence contractor in Nelsonville, NY on Houzz. 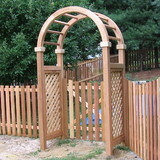 Narrow your search in the Professionals section of the website to Nelsonville, NY fence contractors. You can also look through Nelsonville, NY photos to find examples of fencing and gates that you like, then contact the professional who worked on them.